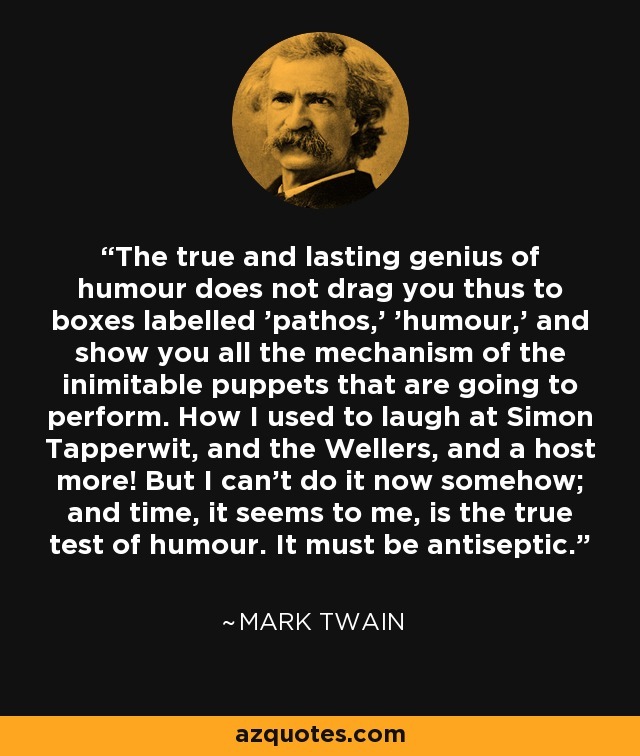 The true and lasting genius of humour does not drag you thus to boxes labelled 'pathos,' 'humour,' and show you all the mechanism of the inimitable puppets that are going to perform. How I used to laugh at Simon Tapperwit, and the Wellers, and a host more! But I can't do it now somehow; and time, it seems to me, is the true test of humour. It must be antiseptic.